This year’s Austin Pathways HACA Resident Scholarship Ceremony was star studded. Scholarship recipients twinkled on stage as they received their certificates, and guest speaker SaulPaul encouraged the group of 36 students to continue to shine as they work to achieve their dreams. Housing Choice Voucher client Sayuri Byrd, 35, has used her Austin Pathways HACA Scholarship to earn an associate’s degree in business from Huston-Tillotson University. She is currently working on her bachelor’s degree in business and expects to graduate from Huston-Tillotson in 2019. Sayuri will graduate from HACA’s Family Self-Sufficiency program this year. She plans to use her escrow funds to buy a home for her growing family. 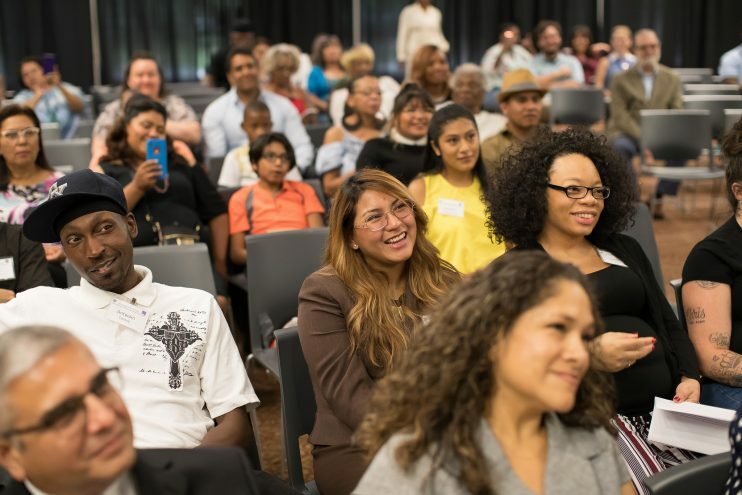 The Austin Pathways HACA Resident Scholarship serves as a vehicle of hope to individuals who desire to further their education and work toward self-sufficiency. To date HACA and Austin Pathways have awarded more than $1 million in scholarships since 2001.